I finished this over the weekend and loved it! What's not to love? I hope you'll update this post after your book group as it would be interesting to know why people didn't enjoy it. I was very impressed by the science in this book. I have a chemistry degree so know my equations and I couldn't spot any flaws in the concepts. 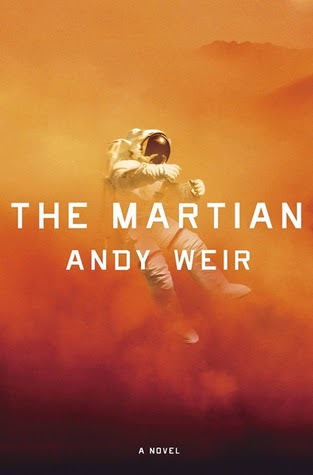 Andy Weir must be a very clever man and have studied a wide range of subjects for several years as I assume the other aspects of space travel/biology are as accurate as the chemistry. Three of us really like it, and one person found it "meh" but we may have talked her up a star. She noted the lack of character development in Mark Watney - which is true, we know little about him and what he thinks - as well as some improbable things that happen. All in all, it was a great discussion!